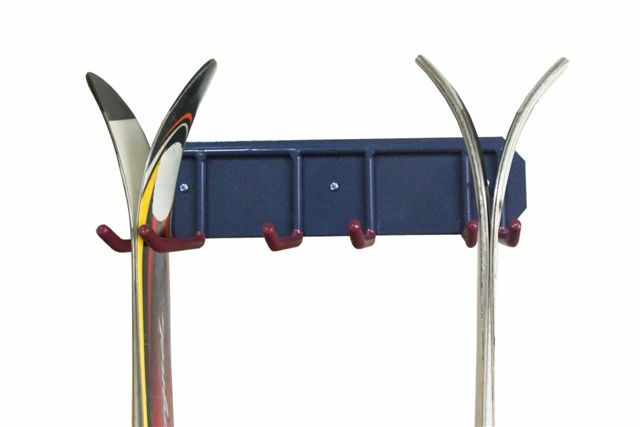 the Gear Up 46020 Dos is a an easy to install wall-mounted storage rack for 2 pairs of skis and 2 sets of ski poles. Simply install into any solid surface and have a place to hang your skis and poles up and out of harms way. Dimensions of product are 14.75" x 5" x 3". Weight is 2lb.